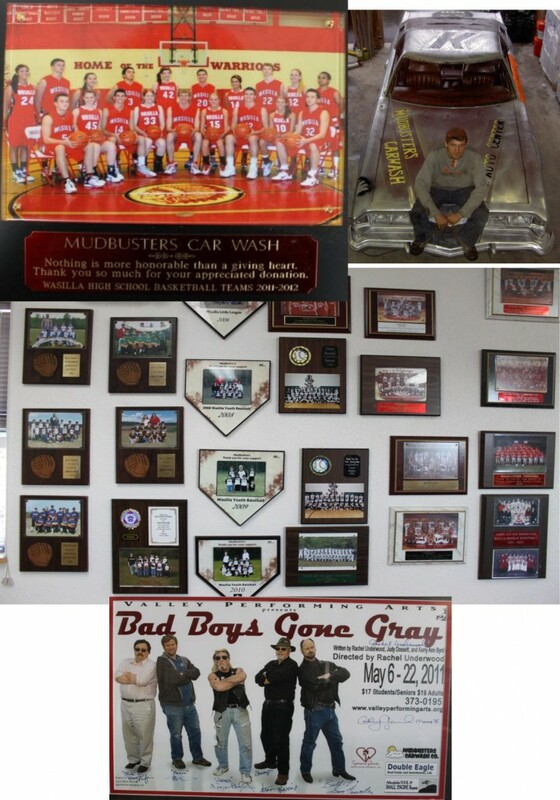 About Us | Mudbusters Carwash Co. This challenge we accepted and in 1997, our first location opened on 500 S Knik Goosebay road, Wasilla, AK. We had much to learn, being new to business and new to the science of car washing. Mudbusters #2 opened in 1999 at 110 Herning Ave, Wasilla, AK. Next to Key Bank, just off the Parks Hwy. Sara Palin was Mayor and the city of Wasilla was growing. In 2001, We opened our third location, Mudbusters #3, at Wasilla’s busiest intersection, 1530 Financial Dr. Wasilla, AK. During and since this time many Alaskans have asked us to help them with car washes in their communities, and we have. Mudbusters has assisted with carwash projects in Juneau, Homer, Kenai, Soldotna, Anchorage, Eagle River, Chugiak, Palmer, Delta Junction, Fairbanks, and a number of other locations. Early on we recognized that the “Name Brand” soaps and chemical products offered for car washes did not have what it takes, for Alaska car washing. This led us to seek expert help, to developed soap-chemical productsspecifically engineered for Alaska’s unique cleaning challenges. We continue to listen and learn, from you, our customers and friends, to deliver the best service and products we possibly can. Mudbusters Carwash Company proudly sponsors youth sports, local arts, children services, and programs that enhance Wasilla , the Mat- Su bourough, and Alaska, to become a better place, a model of the greatness, that is within us all.